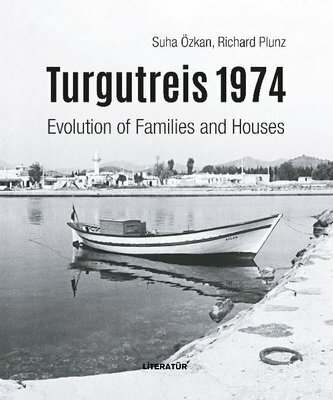 Turgutreis 1974 is a pioneering study of late 20th century urbanization engaging the evolution of a new municipality on the Bodrum peninsula along the Turkish Southeast Aegean coast. Since 1974, in less than four decades, three small villages with 2,464 inhabitants grew to a new city comprising more than 250,000 summer residents. This study documents in detail the timeless material culture of the original inhabitants, heavily grounded in subsistence agriculture and without modern infrastructure, and with a predominance of livelihoods related to grain and citrus production and traditional building crafts. By the turn of the millennium there had been a complete transition to a service economy for tourism with little left of the original built environment that was displaced by second homes and condominiums. The massive transformation of the original lifeworld typifies the urbanization of much of the Mediterranean coast during this same period, including the entire Bodrum peninsula. The story unfolds through an exacting documentation of the lives and livelihoods of fifteen of the original families including textual material and 140 original drawings and 250 photographs. Also included is an account of the historical development of the peninsula culled from a formal record of more than two thousand years. The research pushes the normative boundaries of built environment studies to include a lexicon of the traditional local building elements and methods, and their transition to modern practice. The field research entailed study over the entire period by the authors with teams from Columbia University and Middle East Technical University. Co-authors of the study are Suha Ozkan, Emeritus Professor of Architecture at METU; and Richard Plunz, Professor of Architecture at Columbia. Ozkan has been Deputy and Secretary General of the Aga Khan Award for Architecture between the years 1982 and 2006; and is presently founder of the Bodrum Architecture Library. Plunz has been Professor of Architecture at Columbia since 1974, where he has directed the Division of Architecture and the Urban Design Program. He is presently Director of the Urban Design Lab at Columbia's Earth Institute.